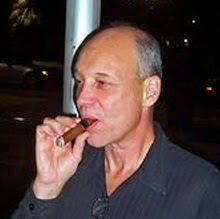 Used to be, the brown spirits had all the character and flavors, derived mostly from wood. Now, it's the tinkering of the vodka distillers, primarily, and the various flavoring methods they employ that seem to set the standard. Unfortunately, many of those spirits are poorly wrought, cheaply flavored and downright lip-curling. Not this one. Its botanical mix (pear, rose, chamomile, lemon verbena, lavender, rosemary coriander and citrus peel) evokes aromatic images of a gin-sipping grandma herbalist, but there's something really fun going on here. In the nose, Square One Botanical offers green pear and fresh lavender right off, along with bits of dried rose, crushed coriander and orange peel. It tastes light and, well, green - perhaps green gage plums or D'Anjou pears, but with something extra - white flowers and lemon blossom, with a hint of jasmine at the finish. The finish is crisp and a bit sweet, but not sweetened, something like mixed fruit gum, but overall fresh and gentle for a 45% alcohol by volume product. 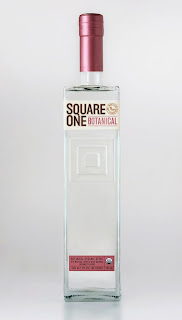 Square One Botanical promises to be a super cocktail ingredient, and has the added cachet that organic certification brings.